Our Most Popular Recipes of 2017 might surprise you! Here’s a look at our Most Popular Recipes from 2017, and our all-time top 5 must-try fan favorites. Plus, let us know what you think in the comments and you could win a $100 Amazon Gift Card! When I look just at 2017, there are a few top favorites that I expected like my Red Velvet Cream Cheese Brownies. And then there were others that were surprising to me like my Grilled Pork Chops with Strawberry Peach Salsa. My favorite to make the list? Definitely my No Bake Chocolate Chip Energy Balls. I am wishing you all a very happy healthy and prosperous New Year! My favorite type of recipes are quick and easy one’s like slow cooker meals, picky kid-friendly, easy dinners. I have not tries any f them but the Cheesy Spinach Dip with Garlic Roll Dippers looks fantastic and I would like to try that one. my favorite type of recipes are easy and quick ones that are not complicated and the the family will all enjoy, like simple casseroles and baked savory quiches, pies, things like that. No not yet but I am going to try out the Chili Lime Chicken Tacos. We love mexican food! I am a big fan of chocolate and cream cheese so I would love to try the Red Velvet Cream Cheese Brownies! I too love east weekday recipes as well as ideas for the slow cooker! easy I meant! Happy New Year! I just got the Ninja cooker for Christmas and need recipes for quick meals and one one pot meals for dinner! We are a fan of all things chicken but I would also love to have some that I can use in the Ninja with hamburger and even pork! I would love to try the Sweet Corn, tomato & Avocado Salsa….we eat Mexican at least 3 times a week…this would be a great addition! I would love to see easy make ahead lunch and dinner ideas. I want to try these recipes: Sweet Corn, tomato & Avocado Salsa, Toasted Coconut Lime Popcorn, and the Cheesy Spinach Dip with Garlic Roll Dippers. Slow cooker picky eater recipes are a must for us! We do a lot of freezer meals, and they all seem to be the same thing. Any other freezer meals, besides the same old thing. I really need picky-eater protein-rich easy-make kid-friendly meal ideas! Oh man! I am with you! I have an SUPER picky eater! I’ll be working on more meals like you’re looking for soon! There are several I’d like to try, but the first one I’d probably make is the Montreal Seasoning mix since we use the store bought kind frequently. I am always on the watch for new slow cooker recipes. It’s still my favorite way to cook. I have several new kitchen gadgets/appliances that I’d like to see recipes for using them. Most of the recipes are too complicated, would like something more simple and without weird ingredients that our family won’t eat. Instant Pot, sous vide, air fryer, Nutri Ninja (blender), crockpot, KitchenAid mixer, etc. I like to see recipes using whole foods, whole healthy fats, etc. No low fat, non fat or artificial sugars. I’m not a big fan of dry milk, I’m not real sure it’s safely made. I haven’t tried these recipes, but I see some that I would like to check out after I leave this comment. I would like to see some more clean eating recipes….especially some that use common ingredients and can be quickly prepared. I’ve done a version of the Chili Lime Chicken tacos, husband like it, as I recall. I tried the Chili Lime Chicken Tacos but left out the avocados and we don’t care for them. It’s was a big hit with my family! I’d like to try the Red Velvet Cream Cheese Brownies recipe—it looks scrumptious! I live to see quick and easy recipes. I don’t have the time to spend hours in the kitchen cooking. The cowboy butter sounds good for freshly baked corn bread, but the maple butter would be incredible on homemade bread. My favorite type of recipes are for good hearty and healthy meals that can be made in the crockpot! It’s Flu season, I’ve got it bad, too. I may have to resort to Grand father “cure”: Boil 1 cup molasses with 1/4 cider vinegar until syrup coats spoon and does not drip easily, approx. 8 minutes, add 1/3 cup RAW finely dice onion, stir in, remove from heat. This was the cough syrup that existed a century ago. I would love to try my hand at the Red Velvet Cake Balls. I’m not the best in the kitchen so I don’t have recipes to offer, but if you have tips on entertaining in the home for the less hostess skilled mamas, I’d love to learn more. Love this blog and looking forward to your words in 2018! Easy, healthy dinner recipes are definitely something for which I am looking right now. I’m getting more into cooking than I have been in the past and can use all the help I can get. I have not tried any of these, but I will be trying the Homemade Montreal Seasoning Mix. I go through tons of that stuff! I haven’t tried any of these but they sure look good. I want to try the Chili Lime Chicken Tacos. I like to find easy recipes, slow cooker and kid friendly recipes. I’d love to see some one pot meals. Or even some no boil crock pot mac and cheese. Easy, throw together things. The grilled pork chops with strawberry peach salsa look yummy! I’d also love to see more freezer-friendly meals. I’m trying to do more make-ahead cooking, because our weeknights are crazy! I would love to see some low carb! I need to eat this way and there are many many great ways to achieve it but love recipes from others! Those red velvet cake balls look so good! I love chicken recipes that are easy and the picky children will eat. Also looking for instant pot recipes. Low carb /Keto meals maybe crockpot or insta pot. I’m always looking for new recipes and just found out about instapots. I’m going to try your garlic cheese bombs first. I have yet to try one of these recipes, however, the Grilled Pork Chops with Strawberry Peach Salsa is going to be the first! This recipe sounds absolutely fantastic! I love all the recipes that you post here. I like all different kinds of recipes, I don’t eat much chicken but I like recipes from desserts to Soups..Thank you for all the recipes. I would love to see more slow cooker recipes that contain 3 – 5 ingredients, that are quickly assembled in the morning, Also, a variety of rice cooker recipes. I am starting to learn that more than just rice can be made and it sounds interesting. I copied a few of the recipes. Thanks for sharing them. 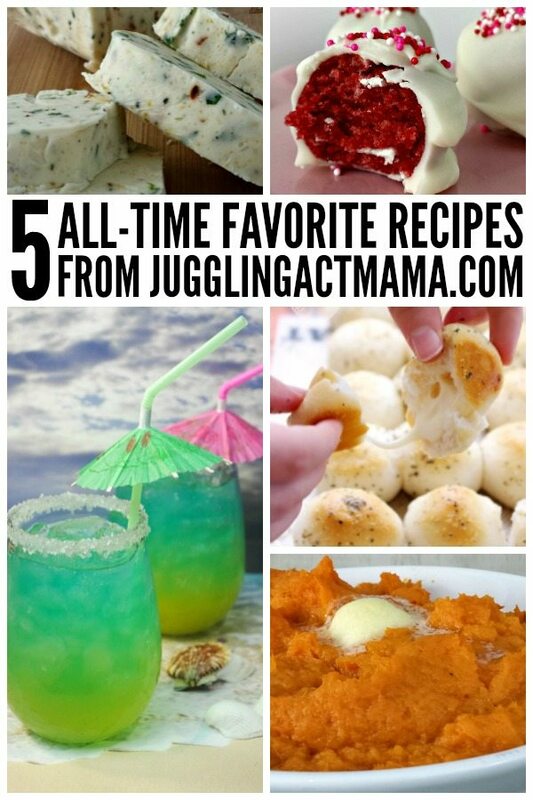 I have not tried these recipes but have eaten several from other recipes! I am interested in trying (even though all are not good on low carb) Cowboy Butter, Garlic & Herb cheese bombs, chili lime chicken tacos, sweet corn, tomato & Avocado salsa, no bake chocolate chip energy balls, and the homemade montreal seasoning! I am sure they are all good but those few stuck out more for me! I like recipes that call for whole food ingredients. About the only non-fresh items I use are chicken broth/stock in a carton/jar.can, canned tomatoes, and canned beans. I also really like one pot meals. I don’t have an Instant Pot (yet), but I do have a few pressure cookers. I used to use them a lot, but would like to start again. So anything that could be used for generic pressure cookers would be great. The spinach bread one looks so good. I need to make this one. I have not tried any of the recipes, but I’d love to make the Red Velvet Cake Balls for Valentine’s Day! Toasted Coconut Lime Popcorn! I have tried it and it is so delish! Every snack needs to be brought to this awesome level! I would also love to try the Brats & Beer Cheddar Jack Cheese Sauce! It sounds very taste! My favorite type of recipes are ones that are fast and easy to make. I do like slow cooker recipes, but I’m not always the best at getting my slow cooker out to make things. Usually I like things I can make and stick in the oven. I’m pretty low maintenance focused when it comes to cooking. I have not tried any of these recipes but the one that I would love to try,and I know my whole family would love are the chil Lime Chicken Tacos,these sound delicious!! I would love more one pot casseroles or crock pot recipes,I got every size of crock pot for Christmas and I want to try them out! I would love to see more super quick and easy dinners with a small list of ingredients. It is hard to have too much energy for cooking on busy days out! I would love to see slow cooker & instant pot recipes that are healthier and show the nutritional values so I can calculate into my diet. I haven’t yet, but oh those Make Ahead Brown Sugar Sweet Potatoes are a definite!! I have not tried any yet but I love crock pot meals. I am looking for a lot of ways to make comfort food in a healthy way. Like mac and cheese that isn’t a thousand calories a bite. I have and it was easy and delicious. I got a instapot..for Christmas..haven’t used it yet and want recipes for it. Really don’t know where to begin..lol. I’m looking for after school snakes but not just any snacks. I want to be able to make something easy and put in the fridge and then the kids can come home after school and warm them up in a microwave or toasteroven. So I guess it would be kid friendly appetizers in a sense. I would like to try the Garlic & Herb Cheese Bombs. I think my daughter could make them as well so it could be a great after school snack. Yum, all of these recipes sound great! I’d love to make the make ahead brown sugar sweet potatoes; they sound incredible! Also, I’d love to see more vegetarian and breakfast recipes. I have tried the sweet corn, tomato and avocado salsa. It is delicious! Thank you for the chance to win! I love recipes with a Tex-Mex theme and slow cooker recipes are also a family favorites! I have made the No Bake Energy balls, but it has been a while. I need to make them again!! I recently got an electric pressure cooker. I would love to see some gluten free recipes for insta-pots! One pot insta-pot meals would be a bonus! I haven’t had the chance to try any of these recipes, but the spinach dip looks fabulous. Maybe I’ll give it a try for our Superbowl party. I have not tried any one of them exactly, put a few close recipes. Would love to make the Cheesy Spinach Dip with Garlic Roll Dippers this weekend. I really would like to see some Whole Meal Slow Cooker Recipes for a crowd. I purchased the largest slow cooker I could find two months ago and have not really found many recipes that would please everyone. I would love to see dessert recipes (cookies, candies, etc.) that are easy to gift, soups and crockpot recipes. Thanks and Happy New Year! The kind of recipes I look for our healthy and delicous, tried and true and actually you will use and weeknight because everyone is always busy. I know the insta pot is a craz right now but I would like to see recipes for that but not just soups and stews. I hear you! Sheet pan meals might be a good way to go – you can totally switch up the veggies to your family’s favorites! I have not tried any of these recipes yet, but would love to try the No Bake Chocolate Chip Energy Balls! Those look so good! What I would love to see in the new year is recipes that are easy to make on those busy school nights, with not tons of ingredients. Also would love to see fun kids recipes! Our little one is really getting into helping cook! I would love to try the coconut lime popcorn. Interesting mix of flavors! I am a fan of simple and easy recipes. Also ideas for around the holidays..I hold monthly Pinterest parties and they usually revolve around a holiday or theme and I’m always looking for fun recipes for those parties..savory or sweet. I like to make casseroles usually but we’re trying to get more healthy in the new year so I’ll be looking for healthy recipes. I’m a big casserole girl myself, but my kiddos not so much. Thanks for your feedback! I have not tried any yet but I am on a sweet potato kick now and would love to try the make ahead sweet potatoes. i would definitely love to try Grilled Pork Chops + Strawberry Peach Salsa i am saving this so i can do it this weekend! I like recipes that you can make in advance and freeze or will keep for a few days. I work long shifts and so 3 days a week I don’t feel like cooking at all. So I need take ahead meals for lunch and dinner those 3 days. My favorite type of recipes are recipes that involve how to cook chicken breasts in different ways. We eat a lot of chicken and get bored easily with the same recipes. Plus I love crock pot cooking, coming home to a meal after working all day is so nice!! I enjoy your quick recipes that I can bring to parties. I have not tried any of the recipes. However, the picture of the Red Velvet Cream Cheese Brownies looks divine and it is something I have to make for my family. I would like to see recipes that I can make over the weekend and serve them on weeknights. This would help so much with time saving during the week. The Chili Lime Tacos are my favorite. We make it all the time! I would love to see more crock pot recipes. My lineup is getting old and I love the recipes you come up with! I’d love to see more kid friendly meals.I haven’t tried any of these. Thanks for your comment! Have you tried this make ahead meal? I haven’t tried any of them. I’d love to try the Garlic & Herb Cheese Bombs first. I love main dish recipes and dessert recipes. I don’t like food fads. I’ve not tried any of these. the first one I’ll try is the Cheesy Spinach Dip with Garlic Roll Dippers. we love spinach dip! I would love some main meals that incorporate vegetables. That’s one of my goals for 2018 and I need help with recipes with veggies! I love the Cowboy Butter. I made some and put ti on some steaks I grilled. My son almost licked the plate. He took what I had left to use next time he grilled. I like it so much when my kids like what I make. I made some more and it makes a boneless skinless chicken breast taste delicious. Thanks so much for the idea. It’s SO good!! You might also like these other compound butter mixtures! No, I haven’t tried any of these recipes yet. Earlier this year, I pinned your Homemade Montreal Seasoning Mix but never got around to making it. This was a good reminder to pull out my spice jars and mix up a batch! It’s got a nice blend of flavors that I know will be great with chicken, which I make a lot. I would like to see slow cooker recipes. As for what types of recipes I most enjoy, I’d have to go with baked goods–breads, muffins, scones, things like that. I’m also on the lookout for recipes to make good use of the cast-iron skillet I got for Christmas. I have not tried these recipes, but the ‘Red velvet cream cheese brownies’ sound amazing! I made truffles as gifts for Christmas this year. Friends and family loved them. I was wondering if it would be possible to convert this recipe into a truffle! Either way, I am totally making this one…you had me at “cream cheese”!! I love to collect recipes. Doesn’t matter what type! It is hard chose just one category, but I think anything that can be “made ahead” for dinners, parties, you name it, would definitely make life just a bit easier. I enjoy making casseroles/meals from the veggies we harvest, freeze them and have them all throughout the winter to enjoy. This makes dinners for us and for when company shows up ( expected or not), very simple! I would love the red velvet cake balls! I am not a good cook, but I love to bake. So I would like to see more quick and easy dinner recipes and new desserts are always welcome! I love quick recipes, too! I have a 6 ingredient soup recipe you might love that will be up later this week! I would love to see more vegetarian and fish options! Your recipes are great and we appreciate them, but we’re trying to eat healthier. 🙂 Perhaps an occasional vegetarian and fish post for the old fogey, health conscious crowd! 🙂 Thanks for the wonderful recipes! Thanks for your feedback! My household isn’t big on seafood, but we can definitely bring you some vegetarian recipes! So glad you enjoyed the brownies – they’re my favorite! I would love to see some gluten-free main course ideas, especially ones that are meat-free or use only fish or poultry. I haven’t but I will try the cheese bombs. I would love some crock pot meals as well as finger foods or potluck for get togethers.Also some vegetarian options would be great. I tried the Corn, tomatoes and avocado salsa. Made it for some friends, we all loved it!! 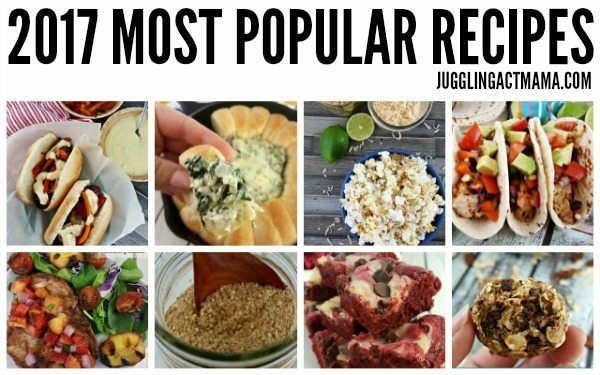 I have not tried any of these but I would love to try the Garlic & Herb Cheese Bombs or the Toasted Coconut Lime Popcorn, I’m a big popcorn fan. I’ve tried the Red Velvet Cream Cheese Brownies, they were delicious! I would like to try the Cheesy Spinach Dip with Garlic Roll Dippers. Grilled pork chops with strawberry peach salsa sounds delicious! My favorite type of recipes are desserts. I would love to see more pies, cookies, muffins, donuts, scones, pastries, cakes, and maybe some gluten-free recipes too. The garlic cheese herb bombs look so good! I would love to see more simple slow cooker recipes that my kids will eat. Also some Instant pot recipes. Have not tried, would like to try the Sweet Corn, tomato & Avocado Salsa. ohh you won’t be disappointed! I really like make ahead meals, slow cooker meal, we have a large family, I do a lot of cooking, 3 meals per day. I would love to try the Red Velvet Cake Pops. I love Instant Pot and Slow cooker recipes. Slow cooker is my favorite, but I haven’t tried the Instant Pot yet. One of my most favorite things to eat are pound cakes. They are delicious. Perfectly paired with a cup of coffee. I just tried a version of your chili lime tacos and they were amazing! Red Velvet Cheesecake Brownies is what I would like to try. I like recipes for brunch. I love recipes for desserts that are interesting and yummy! I am making the Brats & Beer Cheddar Jack Cheese Sauce for the National Championship game Monday Night with Alabama and Georgia! I love recipes and product reviews. I love to see how other products work and how the user likes them before I try them. I would like to see more crock pot recipes and perhaps some recipes for a few people and some for a crowd. Thanks so much! I have not tried any of these, but the red velvet cake balls look really great! Over the years I’ve really grown to love cooking! I have 2 boys and it can be a challenge sometimes to make a meal that everyone likes. I’m constantly trying new recipes and tweeting them. My favorite recipes are any with a ton of flavor! I would like delicious soup recipes. I love meals that I can make ahead and have on hand in the freezer, but don’t end up tasting warmed up. Or that I can eat half and freeze half for another time, again that still taste fresh. I love the idea of game day/appetizers. I love recipes that my beef loving husband would like. I’d love to see additional seasoned popcorn recipes for snacking. I’d also love to see quick breakfast ideas/recipes. I am looking for recipes for desserts that use walnuts for my hubby. Even my 7 year old neice knows how to do this- place three and a half to four pound chicken in slow cooker, add 1 cup water, cook 5 hours on low, add contents of your favorite bottled BBQ sauce, cook 3 to 5 hours more or until meat slips off the bone- makes great sandwich filler. Id love to see recipes for school lunches. something that can mostly be made the night before would be great. fun foods for kids! I would also like to see more 30 minute or less recipes. Just like everybody else who needs to cook dinner every night, I’m always interested in good slow cooker recipes. However, I don’t make recipes that use canned soup as a base; the slow cooker is convenient but I still like to make my meals from scratch. Italian crockpot recipes are my first thought! Slow cooker recipes would be fantastic. I love setting my slow cooker before I go to work and coming home to my dinner done but I don’t have enough simple slow cooker recipes. That Sweet Corn, tomato & Avocado Salsa sounds amazing! I would like to see more vegan friendly recipes that are simple and easy. Id love to see some easy vegetarian dinner recipes because I have one vegetarian 2 meat lovers ,and 2 picky eaters and I am open to a lot of new things- So I need more for the whole family, instead of 2 to 3 different ways to make a meal! I like low carb recipes. I like a lot of soups and salads. I like the game day recipes with different types of dips and finger foods. Slow cooker recipes are also one of my favorite dishes, because I like to try the different recipes. I love finding new slow cooker meals using chicken. I would like to see different slow cook recipes. I am intrigued with intricate desserts and beverage desserts . More so layered desserts made to be like an alcoholic beverage in a glass. Not sure if done by anyone but it is something I do and create. I would love to see more healthy (sugar free and whole grain) recipes 🙂 happy new year! I love slow cooker recipes that are easy to put together for a busy family. I also enjoy reading about healthy l lunchbox ideas for kids. I’d like to see easy appetizer recipes that you can bring to a party made from common pantry items. I always seem to be looking for last minute ideas. Both crockpot and kid friendly recipes! My favorite type of recipes are appetizers and hot (or cold) party dips with the star ingredient being cream cheese! Super yummy! I would also like to see recipes made from pantry ingredients, like pasta, sauce, etc. Anything that can be made in one pot. Slow cooker, pressure cooker, skillet, etc. I’m all in favor of those. I’d love to see more one pot meals and recipes that can be made in under 30 minutes. I love fast & easy recipes like the red velvet cream cheese brownies. They look so delicious!!! I have an electric pressure cooker (NOT an Instant Pot) and I’ve only used it a few times. I’d love some ideas for using it–I really need to get more familiar with it and bring it into regular rotation. I like all kinds of recipes because I constantly like to try new things. My husband will be doing a Whole 30 diet soon, so I’d like to see something that’s compliant with Whole 30. Overall, I do not like anything with food dyes – I’m very sensitive to food dyes. I would love to see some quick and easy to make healthy snack recipes with nuts. I would love to have recipes for things that I could cook and put in the fridge so my kids could warm them up after school. I need recipes for work nights and picky eaters. I would love recipes that are simple enough for a novice cook to prepare and meals that will feed one or two people. I love finding new home made soup recipes. I love trying recipes from allover the world to experience new tastes. I also would like healthier versions of all the great dips and finger foods for football get togethers and family time. we spend so much time trying to eat healthy that when we have a big bash I feel like I blew my whole week. Recipes for appetizers would be great. I have been cooking family dinners for 40 years and I am tired of it. I want the easiest recipes I can find or dinner won’t get on the table. I am the mom and caregiver of two special needs young men as well as the wife of a good man. I stay pretty busy so I look for good, fairly healthy recipes that can be put on the table quickly or possibly frozen for another time. We love recipes from the slow cooker as well. Appetizers! I love walking around a party or family event with a plate full of appetizers! Can’t get enough of them. Also, I’ve started looking for lettuce wrap filler recipes. There doesn’t seem to be a lot out there. So that would be nice too! I like recipes that are kid friendly, easy to make, and healthy. I have started with Trim Healthy Mama so if you have anything that goes along with it. Also anything quick, easy and kid friendly. Plus we homeschool so any recipe I can make in a crockpot. I love make ahead and freezer meals, especially healthier ones and ones that hide veggies! I love easy recipes! One of my favorites I like are Cake Cookies made from a cake mix. 3 ingredients. I like slow cooker and Mexican recipes. Anything easy really. I’d like to see new recipes using rhubarb . I love and use several of your homemade spice mixes, so I would LOVE to see more of those. We are trying to eat healthier and more cleanly so to be able to make spice mixes myself without all of the preservatives means a lot! I’d love to see some more vegetarian recipes, and also InstaPot recipes! I need to use my slow cooker more often! So I’d love to see more of these….. And anything with honey. One of my favorite meals is subs & sandwiches! I’d like to see some recipes for lobster rolls, beef dips & other types of cool sandwiches! My favorite recipes are vintage and made from scratch. I also love breakfast and casseroles. I love easy quick dinner recipes , slow cooker recipes and casseroles. I would like to see quick and easy recipes that are ready in less than 1/2 hour. Low-calorie desserts would be good too. I would like to see more Italian based recipes. I would like to see quick vegetarian and gluten-free recipes. If it is a slow cooker recipe even better! Thanks. I like quick and easy recipes. Crock pot meals are great too. I would love to see some easy vegetarian recipes on your site along with delicious and healthy recipes for dessert. I would love to see instant pot dinner recipes like beef stew and hamburger stroganoff. I’d love to see more recipes for the slow cooker, and kid friendly! I would like to see chicken curry recipes I could use in an Instant pot. I would love to see some make ahead veggie loaded casserole dishes or meal prep lunches! I have a big family so I enjoy reading easy quick recipes and inexpensive. Im always looking for recipes with fewer ingredients or something I can throw in a crockpot. OH WOW where do I start. I so am going to try even though Christmas is over the Red Velvet Cream Cheese Brownies,Grilled Pork Chops with Strawberry Peach Salsa ,Cheesy Spinach Dip with Garlic Roll Dippers and the Garlic & Herb Cheese Bombs. These look so amazing and sounds like they take no time at all. My favorite types of recipes are quick and easy weeknight dinners. I love slow cooker recipes or one pot recipes. I like easy meals especially on crazy days. I would also like to see easy casserole, freezer meal recipes. My favorite recipes are slow cooker meals for dinner that serve 6-8. As far as slow cooker recipes, lately I’ve been interested in things I can make in my Casserole Crock, including “baked” goods. My favourite types of recipes that i would love to see are quick and easy meals that are also kids friendly, like mini chicken pot pies, mini corn dogs, and ham and cheese pasta bake! 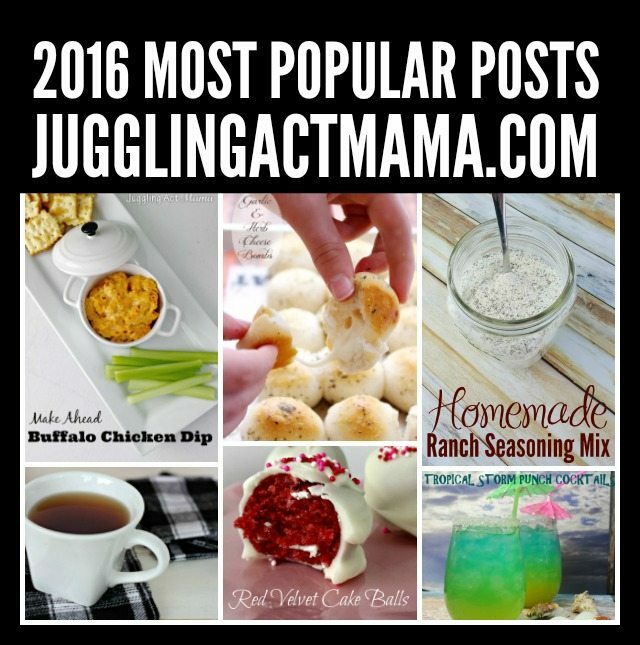 I love recipes, reviews, and of course giveaways! As I am trying my hand at going vegetarian I would love to see more of those recipes. Also I would love to see some recipes for slow cookers and instant pots please. I’m trying vegetarian or veggie based recipes for 2018. We need to eat more veggies. I would like to see some tasty appetizer recipes like mini quiches, meatballs, chicken wings, springrolls and stuffed mushrooms. I would love recipes that freeze well so they can be made up ahead of time. The red velvet cream cheese brownies look amazing. I love, Love, LOVE using my slow cooker but I mostly use it during the fall and winter. I would love to see some slow cooker recipes for warmer weather. Something lighter and not so heavy, most of my slow cooker recipes have heavy sauces. One thing I would really like to see that would be helpful to me is meatless recipes. I’d like to use less meat and hardly know where to begin! Thank you. I would love to see alot of easy crockpot recipes this year since I got one as a Christmas present this past year. I would also like to maybe see some low carb recipes too. I love to find new Mexican food recipes. I would love to see more 5 ingredient and more crock pot recipes, as a busy working mom these are the ones I depend on. I would also love to see shortcuts for cleaning and maybe some life hacks that would make family life easier! I can’t wait to try the Red Velvet Cream Cheese Brownies! Red velvet is a family favorite in my house, so I know this would go over big! I would love to see more recipes using an instant pot, particularly lower calorie recipes. I just got an instant pot for Christmas and I am not a big meat eater. I would love to see more recipes using veggies, pasta, rice and other healthy grains. I would love to learn all the different types of ways to use an instant pot or slow cooker. I would love to see recipes for healthy side dishes. I love dessert recipes. I’m always looking for new cookie recipes to try. I like recipes that are easy and can be made ahead in large batches to feed a crowd at get togethers. I would love to see more IP recipes, including yummy winter soups. I like family friendly recipes. My favourite types of recipes are desserts. I particularly love making pies, so I’d love to see different twists on our usual pies like caramel apple pie! The Tropical Storm Punch recipe looks like a great one for game day! I am always looking for slow cooker recipes. I’d like to see some recipes to try specifically for Instant Pot. I like different kinds of soup made in the crock pot. I love sauces! Always looking for ways to dress up chicken, steak or vegetables. One of my favorites is a Cafe de Paris sauce! I love specialty recipes like Apple Butter. I make it in a crockpot but I don’t generally like crock pot meals. I also love international dishes. For me, the best breakfasts are quick, in the morning at least. I don’t mind baking ahead if all I have to do is grab-and-eat in the morning. Things like muffins, quick breads, overnight oatmeal… I’d love recipes like that! I would love recipes for food that would be great for after school snackes. I would like to see appetizer recipes! Thank you for the chance to win! I would like to see more chicken slow cooker recipes. I would love to see more snacks that I can feel okay about giving my kids. I’d like to see tasty and unusual recipes for a novice cook. I like easy recipes. some one pan recipes would be good. I would like to see 30 minute meals. I would like to see more slow cooker recipes. I would love to see budget friendly recipes. Especially egg recipes. I would like to see menu planning recipes for the week. I love baking cakes, but the recipes I’d be most interested in seeing are for simple one-layer cakes, you know, snack cakes, not multi-layer fancy schmancy decorated cakes. Just good simple dessert cakes. My favorite type of recipes are Asian inspired meal from various places such as Vietnam, Thai, and India. I like fun and easy breakfast recipes. I would most be interested in sugar free deserts, as I’m a diabetic….and low carb pizza’s. I love pizza but haven’t had any in months now that I realized how many carbs are in them. Yikes! The blueberry cranberry bars would be great to have on hand for breakfast. In 2018, I’d like to see more make-ahead and freeze dinners that would work for a family with small children. I would like to learn about healthy breakfasts. I love weekend breakfast ideas! My favorite types of recipes are meat free! I would like to find some quick and easy 30 minute meal recipes. The recipes that I would love to try more are slow cooker recipes and make-ahead then bake recipes. Also recipes that have healthy,organic or minimal ingredients. Thanks for this gracious giveaway! I would also love some more easy healthy recipes. I love easy dinners and chocolate dessert recipes! I Like instant pot recipes. I have owned one for a year and am still a bit intimidated. I love love love new appetizer recipes! I would love to see moreno fuss insta-pot/pressure cooker and slow cooker recipes. I would also love to see more game day finger food recipes. I would love to see more comfort food recipes with cheese and bacon. I also love all types of dessert recipes with chocolate and nuts! I would love too see make ahead easy appetizers. I need some new ideas for game time food. One thing about anything I make is that all of the ingredients have to be budget-friendly. We don’t eat much beef or seafood because chicken is a much more affordable option. Same with veggies–carrots are in my budget but wild mushrooms, not so much. So budget-friendly recipes are always welcome! Thanks. I’d love to see easy desert recipes. I like to see slow cooker recipes then i make them gluten free for my son who has celiacs disease. I would love recipes for food that would be great for after school snacks.